There has been a whole lot of talk surrounding star South Carolina defensive end Jadeveon Clowney after it came out that it was he that told Steve Spurrier and the Gamecock coaches that he was unable to play in Saturday's game against Kentucky, as opposed to the usual trainer or doctor. He told the coaches after they had arrived at Williams-Brice Stadium and after the game, Spurrier was not pleased, although he did backtrack a little today. The Clowney news has led to plenty of speculation that he decided not to play because he was not willing to risk getting a more serious injury, one that could affect his draft status as despite his disappointing 2013, he is thought to be the consensus top player. And you know what, that's fine but if he is more focused on the next level than where he is now, he should quit the team. 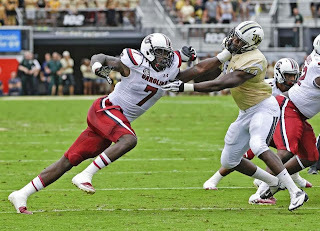 I absolutely understand that Clowney does not want to take the risk on getting a serious injury, after all he was there when Marcus Lattimore when he had his right knee all but destroyed last year against Tennessee, one that hurt his draft stock. In fact, you have folks saying that Clowney should not play until he gets paid. And you know what? If he is focused on preparing himself more for the NFL Draft and thus will not take any chances this year, he should not be on the team. Is it really fair for his teammates, most of whom will likely not be NFL players and this will be their highest level of football played in their lives, that the best player on the team is looking forward and not on the present club, one trying to make waves in the SEC. If he is not going to give it his all and focusing on his millions, does he really need a scholarship if he will be able to recoup that and much more when the draft comes and he signs his first contract? We all know the system in college is flawed and thus you see many thinking that college players should be paid (I am not a proponent of a salary but I do think they should get a cut from monies collected on their merchandise). But that is the way it is right now and if Clowney would be allowed to be above the system and thus shouldn't play because he is going to be a high pick and is allowed to protect that status, who else are you going to make that exception for and where is the line? 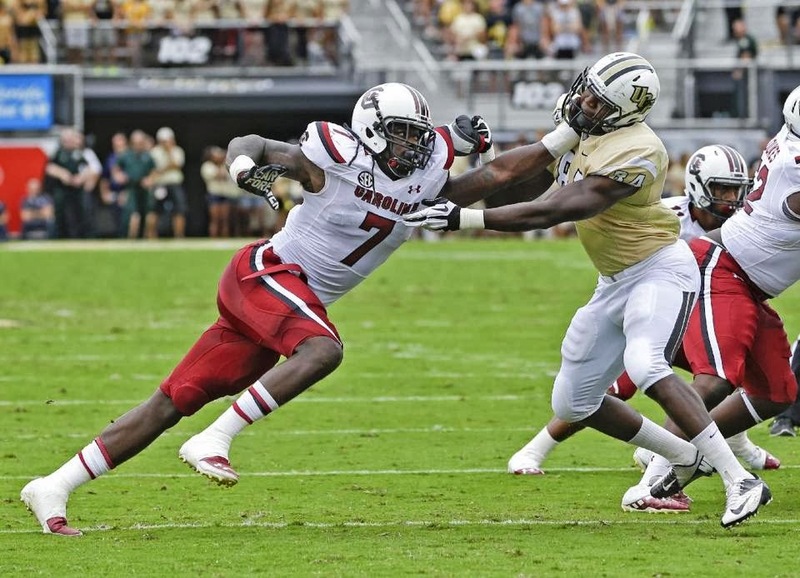 If Clowney is really hurt, that is fine, there's nothing he can do about that. But he should not be treated differently than any other player when he is rehabbing and ready to play. If he can play, he should be on the field. If he cares more about his draft status, he should not be on the team and that scholarship would be more worth it for somebody else.